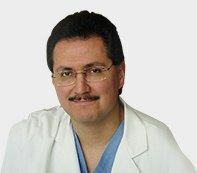 Dr. Victor Gonzalez continues to stay on the cutting edge of surgical procedures using new advanced tools and techniques he is able to perform several surgeries without making any external incisions. Incision less surgeries performed by Dr. Gonzalez includes the StomaphyX, the ROSE procedure, and the EsophyX TIF. Incision less Surgery is the next wave in minimally invasive surgery and is rapidly becoming an option demanded by patients, insurers and healthcare providers. New surgical tools enable access to the GI tract and abdominal organs through a patient’s mouth or other natural orifices, eliminating the need for external incisions into the body. Incision less procedures include those performed within the natural pathways (lumens) of the GI tract, called Endolumenal Surgery or NOS (Natural Orifice Surgery) or by creating an opening in the lumen to access abdominal organs, called NOTES (Natural Orifice Translumenal Endoscopic Surgery).